wow. i knew it would be a profound experience. whenever parents try to shush little ones in church, my dad reminds them (from the puplit…mid sermon even) that jesus said let the little children come. their abandon, their full-on living is what it’s about. so yeah…how completely perfect that the holy space was filled with the giggles of a joyful child. I’ve been told, in a matter of a few years, Indianapolis will have a temple. I’m excited to do the “public” tour. Sounds beautiful. I’m so happy you know the kind of happy I get to know every time I go to the temple. Wow, this is so moving… what a fantastic thing to read on Good Friday. I’m Catholic, so I’ve never been inside a temple either, but it sounds like quite an experience. “Let the children come to me…” They have so much to add in a space like that, don’t they? True reminders of innocence and light. A member myself, everytime I go, it is a beautiful experience. I’m so glad you took the opportunity to visit. I’m a former LDS member and have been lucky enough to go through the temple before it was sealed as well, you have brought back memories I had forgotten. You painted a beautiful picture and I felt like I was standin next to you in the temple. Thank you. I’m so glad you were able to attend the open house! We adopted our son so we were able to have him sealed to us in the temple, so that he can be a part of our family forever. It was such a beautiful experience to have him in the temple with us. The temple we were sealed in (the Oquirrh Mountain Utah temple) is new and it had it’s open house during the time our son’s birth mom was pregnant. She toured the temple before its dedication and said as she sat in the sealing room and felt joy as she thought about how the baby she was carrying would be able to be sealed to me and my husband. The temple is full of love and I’m so glad you were able to experience that. I am a member and just have to say…you get it. That is the feeling I get everytime I am in the temple. Such a peace that you will be hard pressed to feel anywhere else. What a beautiful description. Thank you. My thoughts exactly. You got it, and you felt it. Such a precious experience, and you shared it beautifully. Wow. That was such a beautiful account of your experience… reading your description brought that same “it” feeling to my heart and even made me misty-eyed. I had a similarly sacred moment with a baby in different temple not too long ago. Thank you for sharing your thoughts and perspective! Beautiful! Bridget, thank you for sharing your beautiful testimony of our living God. I am a Latter-day Saint and glad you had a wonderful experience in the temple. 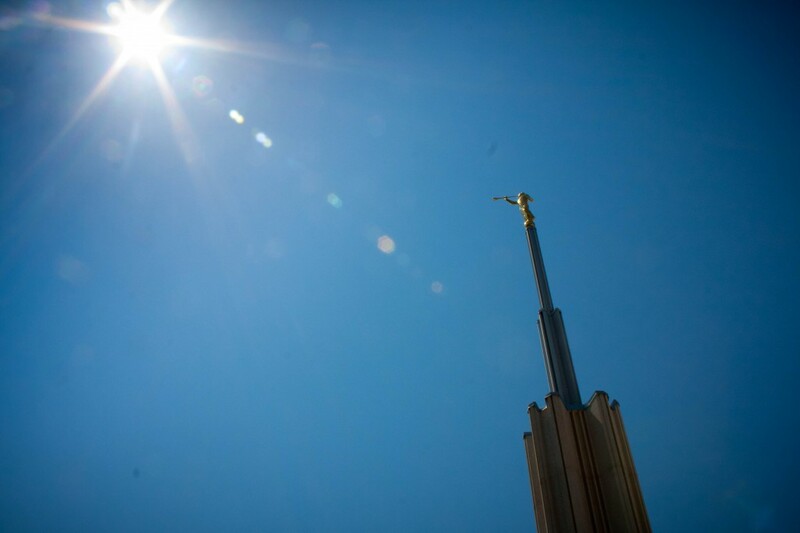 For me, there is no place on earth where I feel as close to our Heavenly Father and our Savior as in the temple. I am glad you could feel of that. If you would like to learn more about temples, you can visit ldschurchtemples.com Thank you for sharing! The heart and mind have to be open and ready to listen. It is wonderful that you were prepared that day. I’m sure that others thought “why can’t that child just be quite, I’m trying to have a spiritual experience”. The spirit speaks when you are ready to listen. Casting pearls to swine is not something The Lord taught us to do. Now my challenge to you and to myself is to REMEMBER those times when the still small voice whispers to our soul. I loved your very eloquent experience. Thanks for sharing. What a beautiful way to begin my day. I found this website by accident and now I know it wasn’t by accident. I was at the Logan LDS Temple on Tuesday and felt the very feelings you described. I know my Heavenly Father lives and wants us to be happy. He loves little children and wants us to be like them. Isn’t it such a wonderful thing that he would bless us, that we can have experiences like this to solidify our knowledge of Him. As we read in the Old Testament , we see that Heavenly Father has always caused Temples to be built among the his children. Being a convert to the Church , I testify that the church is true. It will weather every storm that beats up against it . It will out last every critic who rises to mock it. It bares the name of he who stands at the head of it , even Jesus Christ. It is great people like Bridget Ivey who give this so heavely persecuted Church by people who just do not under stand , a good name. Thank you for your beautiful testamony Bridget. And remember , just as the prophet Noah came before the flood, the prophet Joseph Smith has come before the fire. God bless you and your family. As a member of the Church of Jesus Christ of Latter-Day Saints, I go to the temple every week and I get the same wonderful feeling each time I go. To the author of this article, please know that this “feeling” was the Holy Spirit telling you of a truth that you should investigate and discover and avail yourself of the constant indwelling of the Holy Spirit in your life through membership in the Church. Your home can be a “temple” and indeed, your very person can be a “temple” and carry the spirit that you felt on that lovely Spring day in Atlanta. God bless you! Hi, I’m a member of the church and could tell you many things and try to convince many other but i can only tell you what you felt in there is no chance and that if you you pray to God asking if you sense it comes from or suggestion is sure you will get an answer , then i leave a challenge. I cried reading about your sweet & tender experience in the temple. Thank you for sharing it with so many! I am very glad that our paths have crossed & we’ve become friends. You are an amazing person, wonderful mother. Keep up the great work.